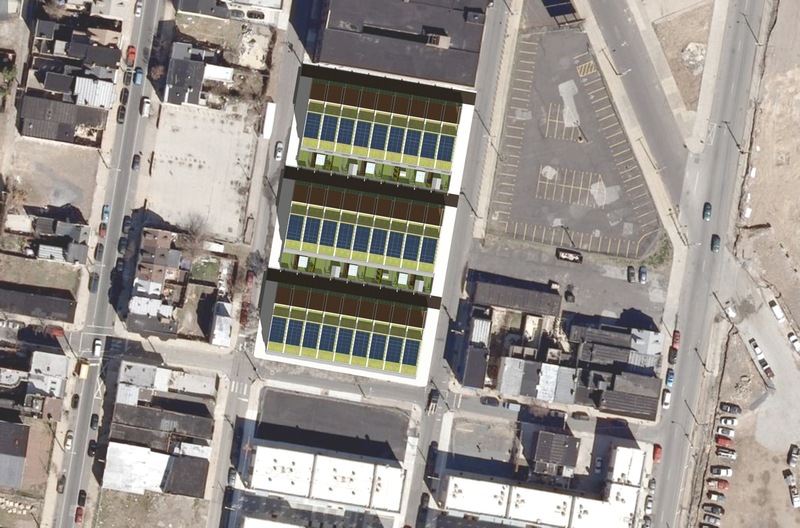 After four years in limbo, what would be the most energy efficient development in Philadelphia is finally moving forward. The Stable Flats project in Northern Liberties is designed to be the first Passive House-certified development in Philadelphia, which means that the building’s energy needs would be minimized to meet a set standard, primarily through being nearly air-tight, extremely well insulated and south-facing. 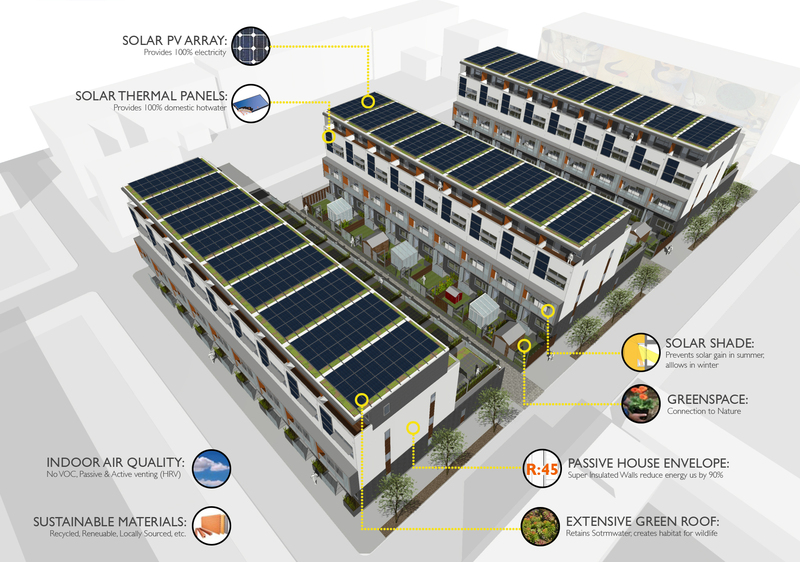 The houses would also be completely energy sufficient unto themselves, given responsible energy use by occupants–what’s called “net-zero energy possible,” said Onion Flats’ Tim McDonald, who is partnering with Domani Developers on the project. Read more about Passive Houses here. 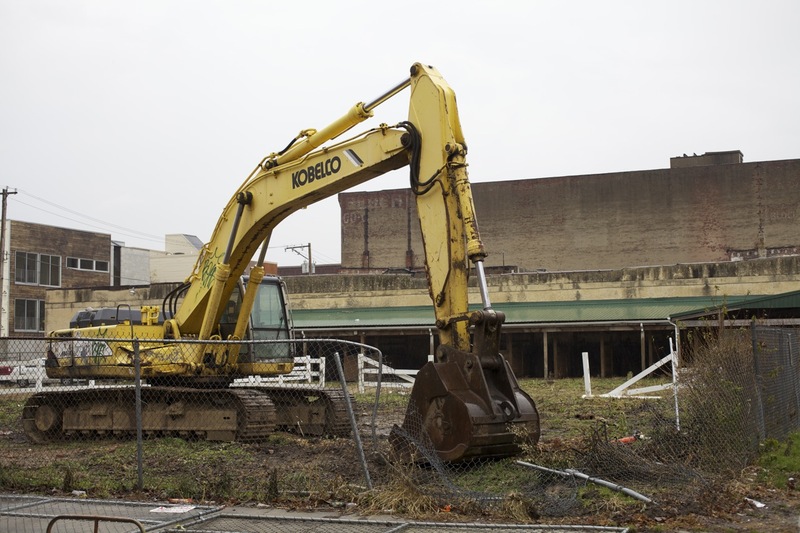 Three single-family homes and nine foundations will be built in the first phase, with plans calling for a total of 27 units on the former site of the 76 Carriage Co. horse stables on George Street between Bodine and American. 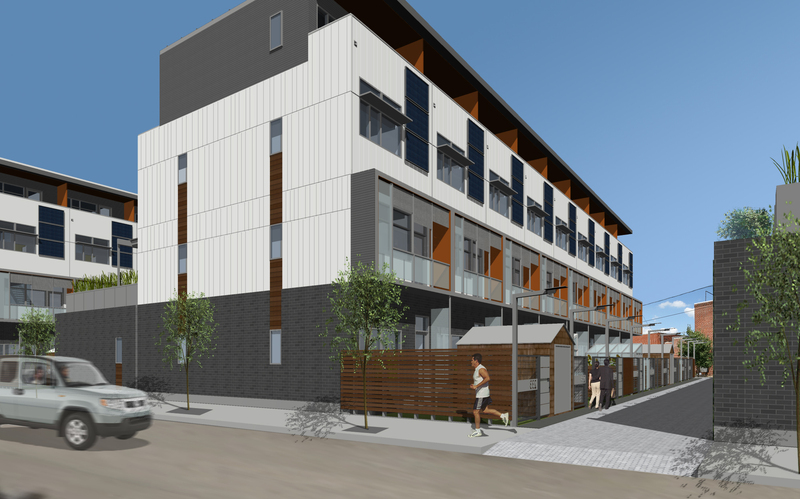 This is a significant downsizing from the original plans for a 70-unit residential complex that included 10 units of subsidized affordable housing that were drawn up in 2007 at the height of the market. 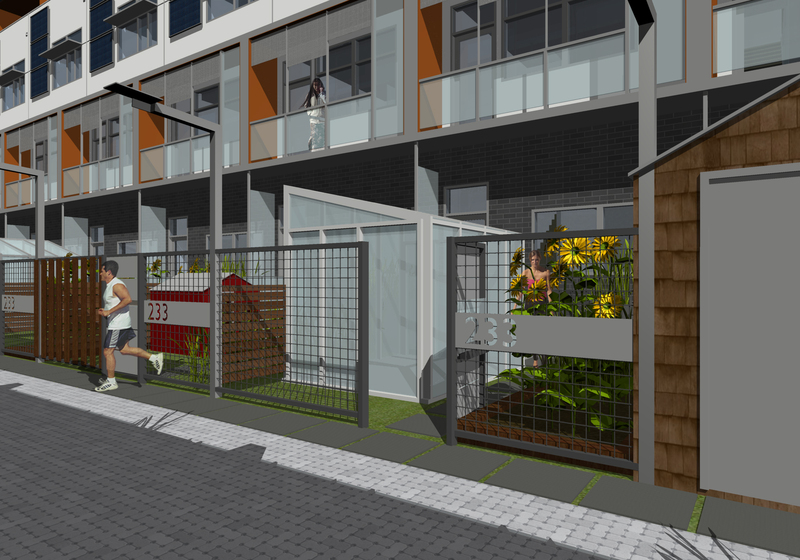 BLOX: Sustainable Building Systems–a sister company to Onion Flats–will build the houses using modular sections assembled on site. McDonald said the first unit should be ready by May.